Azusa Online Forums - General - Azusa v1.1.0 and Release Date revealed! Azusa v1.1.0 and Release Date revealed! Hello again BYOND! I have decided to change the formats of my update logs, trying to be more direct with the changes and only explain them when questioned in comments; this saves me a lot of time and makes the message clearer, so if you have any doubt about any of the changes ask in the comments and I will answer there. 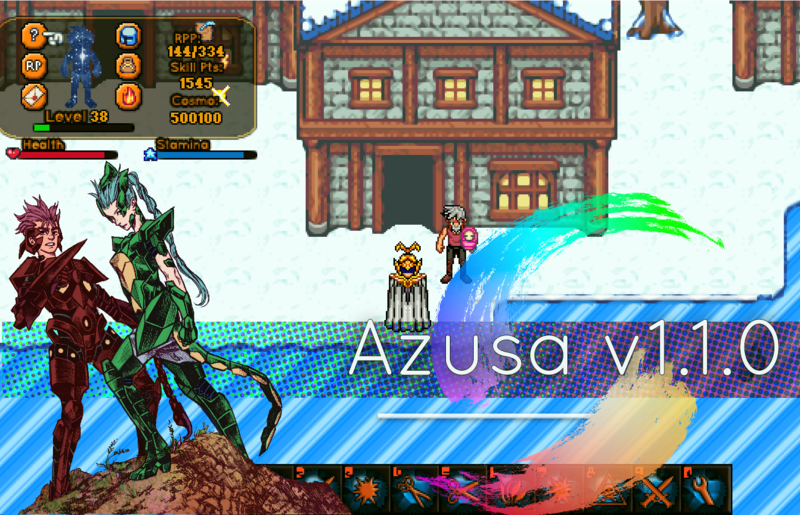 Also, would like to thank everyone who played Azusa during the past years, I guess a lot of people here know how many times I almost gave up on this project, like the moments my computer burned and I had to roll back over 5 months of works, the moments I was forced to make downtimes, and even after some real bad updates that had to be entirely remade; well, I learned in those years that I don't know how to give up, and I totally don't regret it. I love the direction Azusa was taken into, wasn't just led by me but mainly by the BYOND player base, so really, thank you for sticking with me! I really hope Azusa can reach and revive a new RPing player base with this release, and well, show the world how cool BYOND RP games actually are. Wish me luck, and see you all at January 30th!